The main principle that builds the foundation of our brokerage is helping you reach financial freedom. Financial freedom doesn’t necessarily mean making millions of dollars a year, owning mansions or luxury cars, or going on vacation to exotic places – it can be defined in many ways. For most, it means being able to live without worrying about if you’ll be able to put food on the table, or if you’ll have enough money to pay the rent. It means doing what you love without having to sacrifice passion for sustainability. At NB Elite Realty, we believe we are the best real estate brokerage in Miami because we want you to do just that – and we’ll be there every step of the way. How exactly do we help you reach financial freedom? Well for starters, the best real estate brokerage in Miami does exactly what it’s simply supposed to do – hang your license. NB Elite Realty does that, BUT MORE, by providing exceptional training, 24/7 access to our training portal, mentorship and support, marketing materials, and much more! We do all of this without charging you expensive transaction fees, monthly fees, or desk fees. Our focus at NB Elite Realty is to build long term wealth for our agents. We believe the commission you work so hard for should stay in your pocket. That’s why we offer 100% commission at closing. Our transaction fees in Florida also can’t be beaten. Our transaction fees are a flat $200 but can be $0 if you close with our preferred title company. Therefore, you can be saving even more money with us! Often times, other real estate brokerages that offer low fees or 100% commissions do this at the expense of not providing adequate training or support for their agents, especially those who are new to the industry. 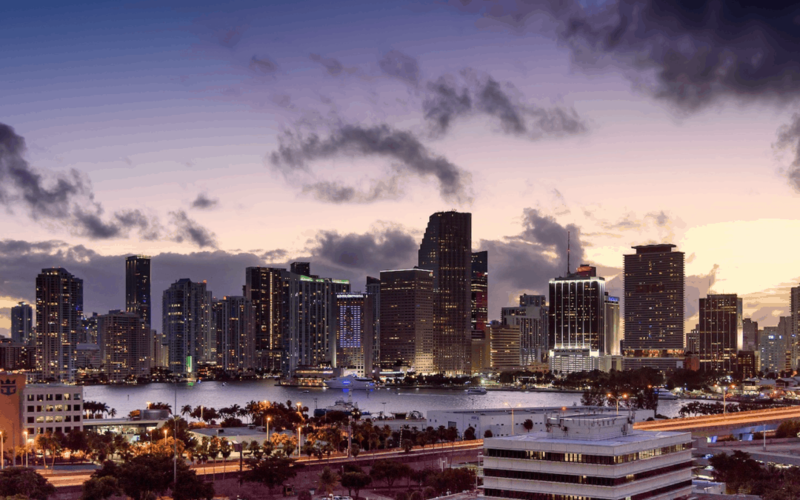 The best real estate brokerage in Miami would never leave you on your own. 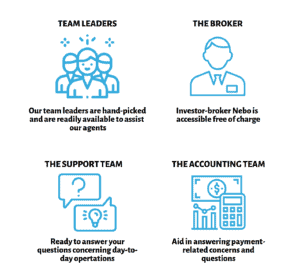 NB Elite Realty manages to successfully provide agents with a team of support personnel, and tools to succeed in their field, all while also keeping fees astronomically low. What kind of tools are we talking about? Whether you’re an investing veteran, or you’re just thinking about dipping your toes into investing, the best real estate brokerage in Miami also offers free investment training. Broker Nebo Bandovic has been an investor for over 25 years, and has a passion for sharing his extensive knowledge and techniques for investing. With an experienced investor-broker and many superstar investors in the company, our purpose is to educate agents in real estate investing and help them build their own real estate portfolio while working with different investors. Looking for a Florida Real Estate Broker in Florida? Stop standing idly by while your hard-earned money gets thrown away. If you are searching for one of the best flat fee real estate brokers, we at NB Elite Realty LLC have you covered. We know the value of taking care of our agents, and we make sure that they have everything that you could ever need to be successful. If you are ready to commit to a Florida real estate brokerage, call us at (786) 332-6199. Join the best real estate brokerage in Miami and be a part of a growing family of over 500 agents. We can get you on-boarded within the same day! As flat fee real estate brokers, NB Elite Realty LLC understands the value of its agents. We want our agents to walk away feeling satisfied with their time spent with us. We gladly seek to improve our resources so that our agents are incredibly well-suited to take on their field. If you are interested in learning more about our long list of services, contact us today.